Image copyrightKEYSTONE/GETTY IMAGESImage captionThe Crystals, pictured in 1964, with Barbara Ann Alston far left. The Crystals singer Barbara Ann Alston, who recorded hits like Da Doo Ron Ron and Then He Kissed Me, has died at the age of 74. Her band, along with The Ronettes, were among the definitive girl groups of the 1960s and helped construct Phil Spector‘s Wall of Sound. Alston sang lead vocals on their first three singles, including the US top 20 hit There’s No Other Like My Baby. She died on Friday 16 February after contracting flu, her daughter said. 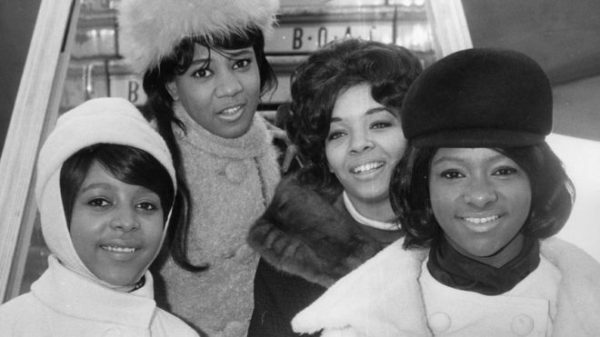 The Crystals were originally a quintet consisting of Alston, Dee Dee Kennibrew, Mary Thomas, Patricia Wright and La La Brooks – all of whom grew up singing in the church. They were put together by big band sideman Benny Wells – who happened to be Alston’s uncle – while they were still at school. They were later discovered by Spector while cutting demos for the publisher Hill & Range. Brooks was seen as the lead singer, but Spector disagreed and championed a reluctant Alston instead. It was not reported if she had taken the flu vaccine.